INFO: What country is my Office 365/Dynamics 365 data in? Q: How do we find out which country our data is stored in when depositing it in the cloud with Office 365 or Dynamics 365? A: Visit our “Where’s My Data” web site for details. 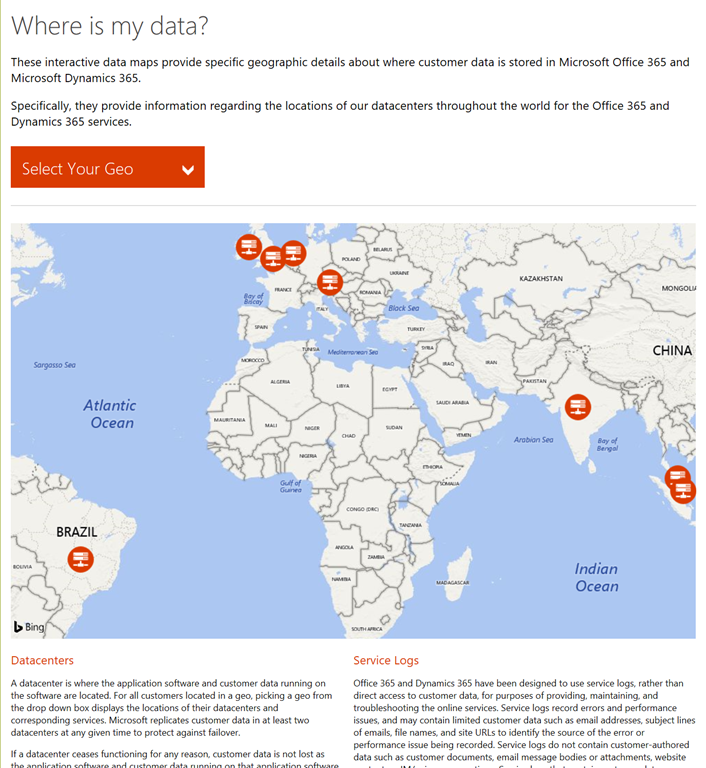 SITE: Office 365/Dynamics 365 – Where is my Data?